Last year, our show theme at NRF 2017 was Know Your Customer. This year, we think it’s time to use that knowledge to transform brick-and-mortar retail once again, helping it compete with online retailers. How can in-store retailers create a frictionless, more personalized experience for their customers, while still making their own in-store processes more efficient and cost effective? At NEC we believe it’s by applying key technologies to make the entire store more customer-aware. Here are five of those technologies we expect to see on display at NRF 2018. Think about it. Big online retailers seem to know more about you than you do. They know what to show you and recommend to you, what you’ve looked at, “liked” or bought before—even what you’re likely to want next. By crunching all that collected data with demographics, preferences and social media data, they can predict what shoppers will best respond to. Why shouldn’t brick-and-mortar retailers collect, analyze and apply the data available to them to tailor the in-store customer experience, too? After all, everything else being the same, there’s still nothing quite like an in-person shopping experience. And analytics can help retailers better tailor their outreach—via emails, app notifications, even in-store messaging—to bring customers back into the store. Face it – technology can also help with building and retaining loyal customers, by making rewards program more effective and personal. Using facial recognition technology, for example, a retailer can identify a frequent shopper or loyalty member as soon as they enter the store. Store clerks are able to greet them by name and make suggestions based on past purchases. And later, at checkout, you can automatically apply loyalty rewards and special savings, based on their status. Digital signage is nothing new in retail, but when paired with facial recognition and big data analytics, it can become customer aware. That means shelf tags and screens can display messages or ads to the nearest customer, calling attention to nearby items or specials that past behavior indicates might appeal to that customer. But smart signage can also utilize object recognition to enhance the customer experience. This technology can detect when the shopper picks up an item (or puts it back) and direct the signage to display personalized information. For example, more product information, available options, upsell ads, or even warning about potential allergic reactions—and make alternate recommendations. What if a coffeemaker needs a filter change or a checkout printer needs the ink cartridge replaced? Little things like this can bring operations to a halt, and in turn affect how well associates take care of their customers. Instead waiting on a repair, a store associate could quickly use a tablet at the malfunction to virtually chat with a robot (artificial intelligence) about how to fix the issue. Augmented reality (AR) can even show the associate how to get the device back up and running “live”—so they can get back to serving customers. Shoppers could benefit directly from AI/AR chatbots, too. Pointing a smartphone at an item, the chatbot could answer questions, show the customer what’s size and colors are in stock, even show the shopper wearing the items before trying it on. Of course, a chatbot can also summon an associate over to help them personally. And let’s forget not the checkout experience. For single-item and multi-item purchases, using biometrics and object recognition-augmented POS systems allow for an efficient, frictionless checkout experience. How would this work? Using both facial and object recognition, the POS solution identifies both the shopper and the items as she puts them on the counter. The system quickly totals the bill—applying the appropriate discounts and rewards based on the shopper’s loyalty status—and the customer pays with a mere glance at the camera. Now that’s convenient for the customer—and efficient for the store, too. Which technology trend will be the winner this year? Do you see five separate technologies in our NRF 2018 predictions—or one huge opportunity for transforming brick-and-mortar retail once again? In each of our scenarios, it’s difficult to see these applications as separate technologies. At NEC, we think the key is unifying them to make the whole store customer-aware, from end-to-end. At NRF 2018, you’ll see how our retail and advanced recognition solutions work together, to provide more efficient store operations, and for customers, a seamless, frictionless and more personalized experience. True, technology helps retailers get shoppers in-and-out of the store more quickly—if that’s what they want. But more importantly, NEC retail solutions allow them to spend more time enjoying the actual shopping experience. And isn’t a personal, in-store experience what brick-and-mortar retail has that online shopping simply can’t provide? When a consumer browses a product or online store, ads seemingly follow them around the internet, enticing them to come back, take another look, or buy. When the same consumer is in a physical store, the retailer still has options to bring the customer back to the product and encourage them to buy. The challenge is how to use the data – the demographics, shopper preferences, and previous physical browsing history – to build an in-store experience that’s similar to an online experience. Today’s retailers have access to more personal customer data, including tracking online and mobile searches through browser cookies and location data, in-store facial recognition technology, NFC, e-wallet, RFID tags, beacons, or simply monitoring whether a customer opens the store’s emails. The challenge is not necessarily obtaining the data. The trick for retailers is now to figure out how to use all the data they accumulate to create better in-store experiences and products. Retailers are data rich, information poor. Random gathering of data, originally intended to move retail into the future, now challenges retailers to thoughtfully formulate its use. Used properly, valuable customer information can personalize messages, customize preferences, appeal to each individual shopper in a social way, and digitize their shopping journey. To help retailers employ the overwhelming mountain of data, NEC retail solutions go beyond “cool hype” to provide value and increase efficiency. As an example, Stanchion™ Store software from NEC offers real-time access to data, enabling stores to respond faster to customers, improve communications and increase in-store productivity. The ability to control point-of-sale (POS) specific tasks, including modifying the user interface, searching for products, checking prices and more. Enterprise-level, back-office capabilities including managing all aspects of in-store operations and system administration. Fast and flexible tools for managing shelf labels, reporting, producing promotional displays, activating campaigns on the fly, and managing data through all stores. Customization based on local-level market demands and reporting to help increase sales. Retailers must also consider that customers will stay loyal if their data is accessible and secure. Consumers want to be able to easily obtain and opt out of stores’ access to their personal and financial information. Data breaches and hacking have made some shoppers wary of sharing or storing their data with online or traditional retailers. As stores continue to amass customer data, their responsibility for its use becomes greater year after year. Retailers need to understand their options for using customer data and how it can create a stronger relationship between customers and stores. With technological advances and online retailers ambitiously considering the future of shopping, partnership and guidance is required instead impulsively purchasing disparate solutions. The bottom line is this: if a shopper continues to have a positive experience with the retailer and feels a sense of reward for remaining loyal and relinquishing their information, the retailer may have created a customer for life. Amazon Go, the new “grab and go” concept uses current technologies, but employs the data like never before. Shoppers are encouraged to walk into a prototype store, pick up their items, and simply walk out, without any interaction with a cashier or checkout counter. For retailers to consider a similar concept, solutions to manage mobile POS, supply chain and inventory, and biometrics or facial recognition for payment are helpful. While shoppers are looking for convenience, they may still need to interact with retail employees within the store. Inventory must also be managed and restocked as customers make purchases. NEC’s NeoFace® facial recognition engine is recognized as providing the highest level of authentication accuracy and is currently deployed among law enforcement agencies around the world. After a series of trials with Japan’s SMBC and Sumitomo Mitsui Card in late 2016, NEC debuted NeoFace® as a facial payment solution at 2017’s NRF Retail’s Big Show. The technology matches pre-registered customer images with those in the POS system. Customers are also given a PIN to secure their account and confirm their identity. As with the Amazon Go prototype, NEC is tracking the solution through its trials with SMBC and within the company’s headquarters in Japan. Take a look at how we’re transforming the customer experience through NEC’s Retail Solutions. 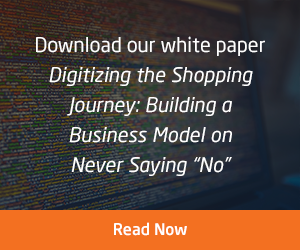 Learn how you can level the playing field between brick and mortar commerce and ecommerce by filling out the form to download the white paper. Ready to “face” the latest technology for shoppers? At NRF17, we debuted our new facial payment solution, which allows registered shoppers to pay for their products with their face. No cash, checks or cards are necessary, you just use your good looks to save time and money. You might have heard about the Amazon Go store prototype in Seattle, in which customers simply walk in, select their products, and walk out. With NEC’s NeoFace® facial recognition technology, which by-the-way has one of the world’s highest level of authentication accuracy, you can give your customers a similar experience. Our technology matches pre-registered facial images against images taken and stored in the NeoFace® database by the POS (point of sale). All a customer needs to do is opt-in to use the solution by submitting their photo and entering a PIN to keep their account secure. The PIN is entered at time of payment to confirm the person’s identity and account information. Pretty cool! Watch our NRF video to see how it can work with you existing POS and how it can be deployed in your store. Right now, NEC is testing the solution in Japan in cooperation with Sumitomo Mitsui Financial Group, Inc. (SMFG), Sumitomo Mitsui Banking Corporation (SMBC). In the trials, NEC, SMBC and Sumitomo Mitsui Card are testing the recognition performance, employee receptivity to biometric authentication, and functionality of the service. During the trial the goal is to gain the experience and know-how to provide a safe, secure, convenient cashless (and card-less) payment service utilizing facial recognition technology at other branches in the future. We are also testing this solution in small shops in our headquarters building in Japan. Our trials are measuring authentication performance and accuracy, specifically when dealing with multiple conditions inside stores, such as, the types of cameras in use, camera positioning, installation, lighting and security. Retail solutions from NEC aim to help you “Know Your Customer” better. We work closely with our customers to develop a deep understanding of business needs to provide the best retail solutions possible and our facial payment product is just one of the innovative ways we can help retailers get things moving better — and faster — right in your own stores. Check out NEC’s full retail suite by visiting www.necam.com/smartretail or let us know if you want more information by filling out the form below. Have questions about an NEC Retail Solution? Fill out the form, and one of our solutions experts will be happy to chat with you! As the President and CEO of a major technology subsidiary focused on delivering security, safety and operational efficiency using a broad technology portfolio we call the Smart Enterprise, I have the opportunity to meet and work with a lot of great companies and brands. For example, I take great pride in the fact that NEC Corporation of America has such a longstanding, global relationship with 7-Eleven, Inc. The convenience store giant is a beacon of innovation in the retail industry, and through the years we have helped 7-Eleven build out its impressive IT platform. 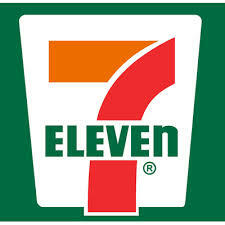 This week, NEC announced an exciting, exclusive deal with 7-Eleven to provide point-of-sale (POS) technology to 8,600 stores across the United States and Canada. As we communicated in the news release, for 7-Eleven it’s a great new opportunity to connect with tech-savvy consumers at the register with an engaging, custom digital experience using our NEC TWINPOS® G5100 POS platform. For us, it’s a great opportunity to continue to demonstrate that we do so much more than provide technology in the store. In this case, we are also offering fully integrated product development, service desk and maintenance support for the next five years. These are the types of customer relationships that excite me the most – integrated development and support. Working with our customer, we are able to leverage real-time feedback in the labs to create a solution that does exactly what our client wants. To help us stay even more in-tune with our customer, we actually have a 7-Eleven store inside our headquarters building in Irving, Texas. We use it and shop there every day. We serve as a testing ground for our customer, just as our customer often pushes us to innovate in their own environment. The resulting relationship with 7-Eleven is the very the definition of Smart Retail, which allows retailers to gain insights to know their customers better and build a larger share of wallet. Together, we always have our eyes on the customer. Over time, I am confident NEC will continue to contribute and enhance 7-Eleven’s customer experience and operational efficiency through a broad range of technologies. The full gamut of NEC’s Retail Solutions are on display this coming week at the National Retail Federation’s Big Show 2017 at the Jacob K. Javits Convention Center in New York City. If you are headed to the NRF or will be in New York City next week (January 15-17), I encourage you to come by and check it out. Now in its 106th year, there is nothing quite like Retail’s Big Show. As you can read online in our press release, the NEC booth #4121 will not disappoint and will showcase all of the technologies smart retailers can use to know their customers better, including our core POS hardware, software, cloud platform for retail, Infrastructure as a Service and lifecycle management solutions. Likewise, NEC’s leadership in biometrics solutions, specifically facial recognition for use in loyalty program, as well as automated greetings and surveillance, will provide a bit of wow-factor in the booth. Our industry leading analytics solutions for automated shelf detection, heat mapping and video shopper demographics will also be popular items. Finally, we’ll be joined in booth by our colleagues at NEC Display Solutions, which offers 4K displays, video wall solutions, interactive displays and large format displays for a wide array of commercial and retail applications. If you are a technologist in the retail industry, I encourage you to check out NEC’s full retail suite by heading over to www.necam.com/smartretail. For a small retail business, having the ability to see up to-the-minute sales information can mean whether or not you survive in the marketplace. This is especially true in the convenience store space, where reliable sales data, inventory control, loss prevention, and security are critical to a successful operation. Some c-stores are independently owned but have a licensing agreement with a large, established company, which affords them the benefits of the company’s mentoring, marketing assistance and perhaps a more corporate look and feel, while they actually operate autonomously. A major challenge in this arrangement, however, occurs when the company’s affiliated c-stores are working with old retail equipment from different manufactures. This was the situation with many of Becker’s Affiliate Program store owners in Canada. Becker’s is a brand operating under Alimentation Couche-Tard, Inc. (Couche-Tard), one of the largest convenience store operator companies in the world. But without standardized, integrated technology in these affiliate stores, a network was impossible, and neither the affiliate program managers nor the individual store owners could access any sales information from these locations. Without sales data, the company was limited to providing general retail advice, making it difficult to support the survival of stores facing diverse challenges and having unknown issues. NEC worked with Becker’s Central Canada Affiliates program and Gexin Inc., NEC’s Canadian partner, to offer the affiliate store owners a customizable POS system using NEC Stanchion® software. Together with Gexin, NEC standardized ten affiliate stores’ equipment and operational capabilities. Integration and store installations were completed in 3 months and were fully integrated with Gexin’s security system and reporting system to provide stores with sales information and metrics for smart product ordering and operational efficiency. Store personnel were quickly trained on NEC’s software, which provides a customized dashboard showing their sales data in real-time, and delivers detailed reporting for each networked location to increase sales. Having access to this information provides the company as well as store owners with detailed sales information and working metrics for smarter product ordering and overall improved store efficiency—a first for these c-store owners. Now, with this fully integrated system, NEC POS terminal, and their Network Video Recorder (NVR) can talk to each other. The information from the POS and security systems provide real-time sales analytics to the Becker’s Affiliate Program, so the company can provide customized support to the affiliate stores to help boost profitability, strengthen their survival rate, and help them grow their businesses. NEC worked closely with this retail customer, to develop a deep understanding of their business and understand their technology pain points and provide the best solution to address the unique needs of both the company and the individual affiliate stores. Experience the customer journey and see how their browsing and buying behaviors can evolve your in-store strategies! 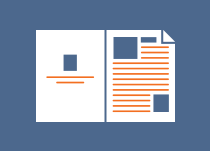 Hey Buddy!, I found this information for you: "5 Steps to Develop an Optimal UC Strategy". Here is the website link: http://nectoday.com/5-steps-to-develop-an-optimal-uc-strategy/. Thank you.